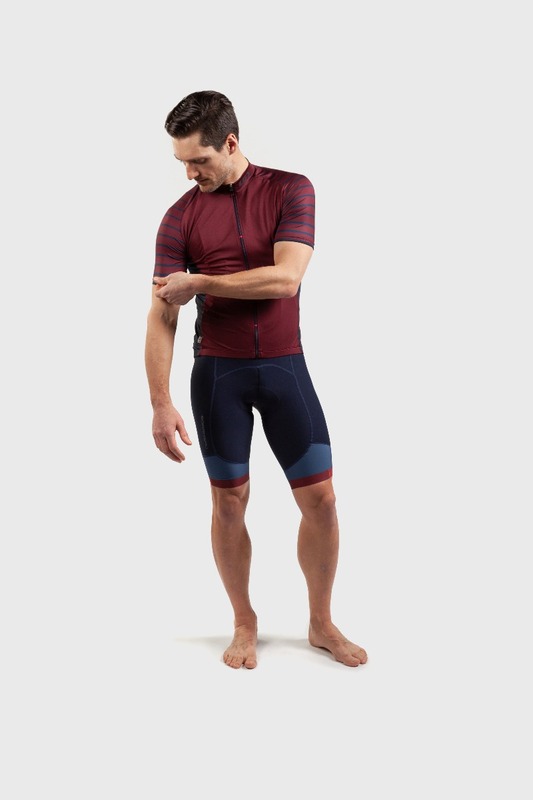 As we begin to thaw out from the long winter and look forward to warmer days ahead, we steer our attention to the new 2019 offerings available to spice up our summer weather cycling kit. We’ve started to narrow down our picks for our own personal #kitgrid for this year, and our eyes are locked onto the brand new Art Factory jerseys and Art Motion bottoms. While we wait for the warm weather to grace us with its presence, let’s reflect on the naming conventions behind products/collections names, and particularly on the Art Factory denomination. Everything we do here at the factory has a story behind it, and these kits are no exception. To prove this point, we want to let the world know about the stories and technologies behind the products. If you’ve ever met Louis, you probably know that he’s one of the most creative and active persons around. He’s always full of new ideas and works relentlessly with the team to push the status quo. He can be seen moving around the office and his community, inspiring and motivating the team and his friends to work hard, make a difference, and play hard, all with an appreciation and respect for the individuals around him. At heart and on the ground, Louis is an artist. From his time sketching as a young child, to studying art and obtaining his bachelor’s degree in Visual Arts at Laval University, to his current work that helps promote cycling across the globe, his history in the art community is reflected in the aesthetics of our apparel. Every line, every curve, and every color pallet have a reason and a story to tell. 1. The most recent stage in the development of a product, incorporating the newest ideas and the most up-to-date features. One meaning for the Art Factory name rests in the technology and machinery we use to make our apparel. From the fabrics we use to the sewing machines on the floor, and everything in between, all aspects of our production are state-of-the-art. Physically making cycling apparel is also an art form that stitchers spend years perfecting. It’s not as easy as cutting square patterns off the internet and sewing up a pillow for your couch. Making cycling apparel that fits correctly and packs in as many features as Garneau apparel offers is HARD. Our teams of stitchers, designers, developers, pattern makers, and graphic artists pump out some pretty amazing threads year after year, and we’re always excited to throw them on and hop on the bike. A building or group of buildings where goods are manufactured or assembled, chiefly by machine. Where Louis is concerned, the Factory part of the names serves for many purposes. It references the factories where we make and produce our kits, but it is also closely linked to Louis’ artistic process. From a picture, generally taken with his iPhone, Louis obtains a canvas illustrated with an image inspiring him. He has the canvass produced in multiples and paints over each one of the series according to his inspiration, thus obtaining a collection that is at once homogenous and totally different. However, the term “Factory” is even more deeply rooted in Louis’ artistic process than one can imagine. It stems from his admiration for Andy Warhol, whose New York City studio had been christened The Factory, an idea derived from Warhol’s mass-producing prints of his artworks to be numbered and sold, factory-style. Warhol’s Factory was a hip hangout for artists, musicians, and hosted gatherings of the minds. Warhol is Louis’ most influential artist, and he incorporates some of Warhol’s principles into his own artwork. The term Factory also comes into play when considering the teams Garneau has sponsored in the past. “Factory” is a widespread name in the cycling world for professional teams. In 2017 we funded the Garneau Quebecor factory team by selling Louis’ artwork, which was inspired by Andy Warhol’s work made in Warhol’s Factory. This is by and far one of the best examples of things coming “full circle” that we’ve ever heard! So there you have it! “Art” and “Factory” all wrapped up into some beautiful cycling jerseys you can wear any time! Browse the assortment today and take a piece of Garneau art home with you (or have us ship it in no time)! This year, we are excited to present our all-new cycling apparel collection, women’s and men’s tops and bottoms including a plethora of technical features, incorporating them into beautiful, high-quality goods that are steeped in art to support your motion. Shop our collection today and we’ll see you out there!